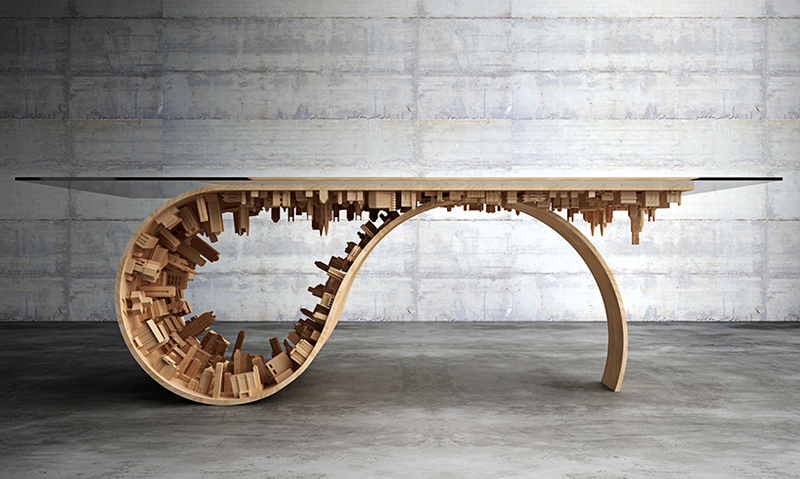 At the start of the year we had Stelios Mousarris creating a coffee table named Wave City and now, because of the success it had, the idea was expanded to the Wave City dining table. 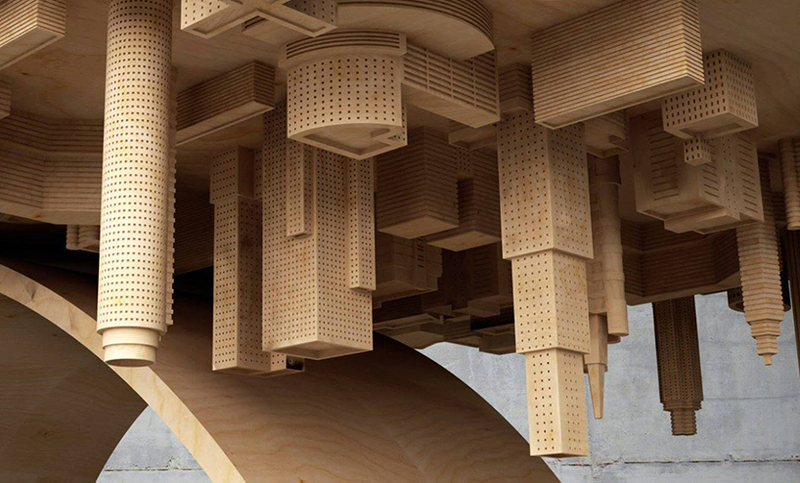 This is definitely a stunning concept that is hard not to look at and analyze for many minutes. 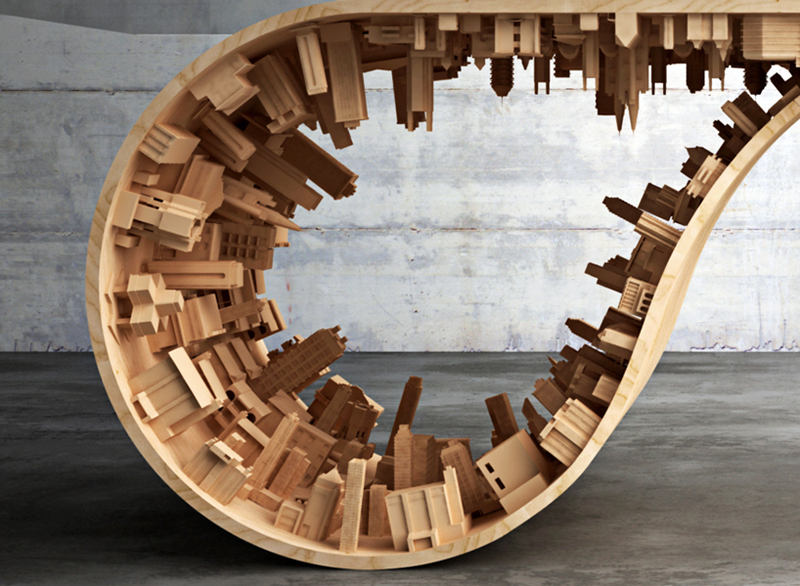 We basically have a wooden landscape featuring buildings that is folded in half and then transformed into a tabletop by adding glass right on top. 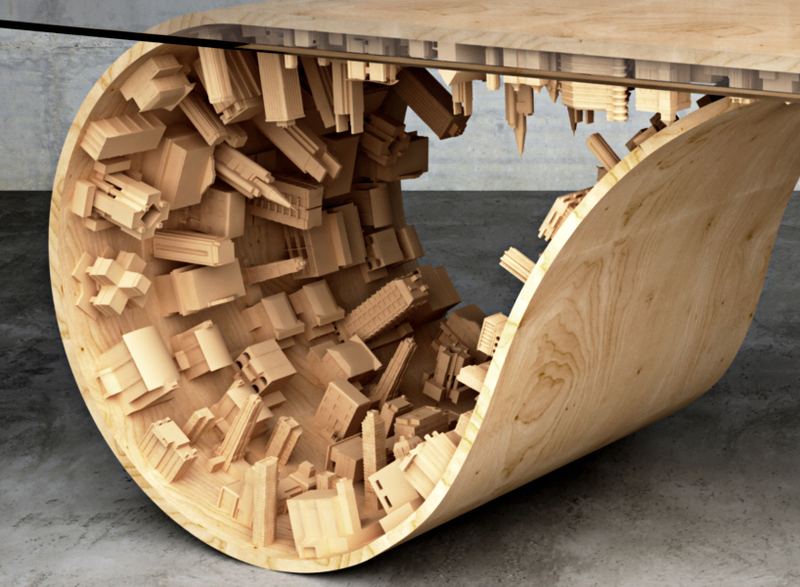 You will think about the movie Inception whenever you see this dining table. 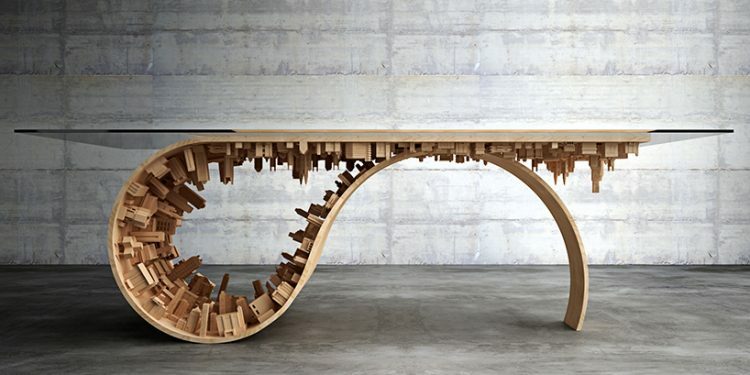 While we do not know where the inspiration came from, the details added are wonderful and we are faced with quite a great work being done with every single one of these tables. 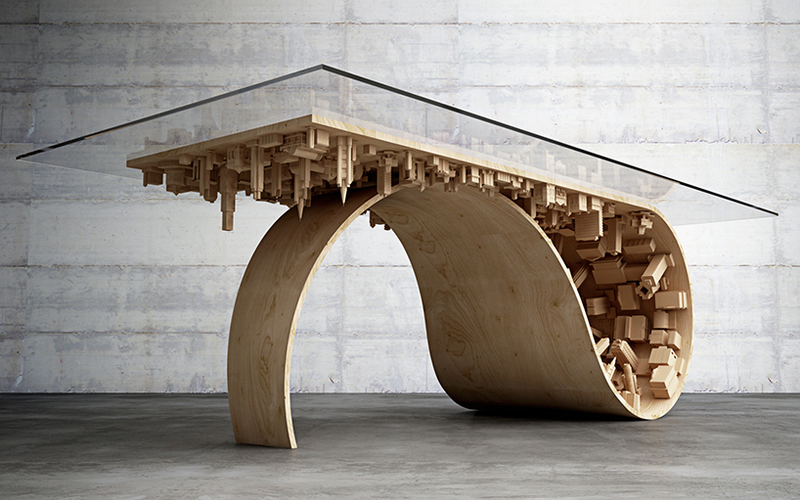 The Wave City dining table is made out of wood, steel, glass and various different 3D components that you will like. Many elements are hand painted. Length is 250 cm, height is 76 cm and width is 150 cm. As you can see, quite an attention to details in this loop. Take an even closer look. You will surely recognize some of the buildings or will you? 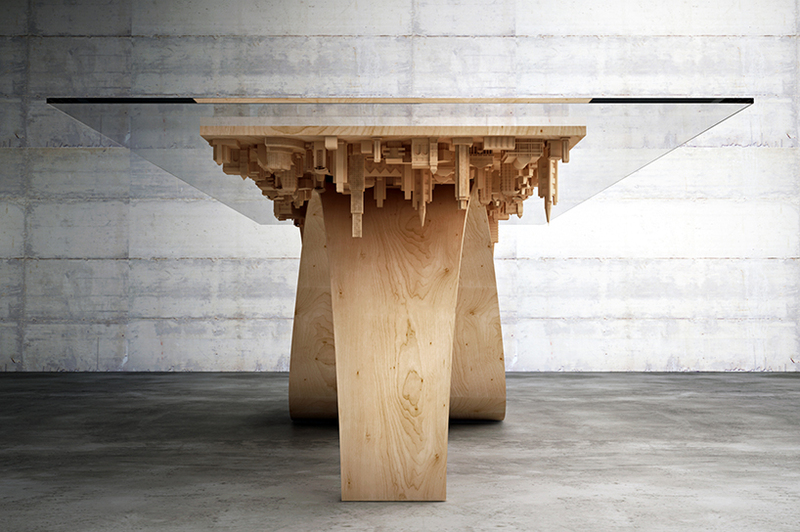 The dining table support might not seem to be sturdy but you can be sure that it is so.